The barge is operated by a Skipper, Mate and 3rd Hand. Beyond that, help is received by volunteers – normally ‘Friends of Thalatta’. 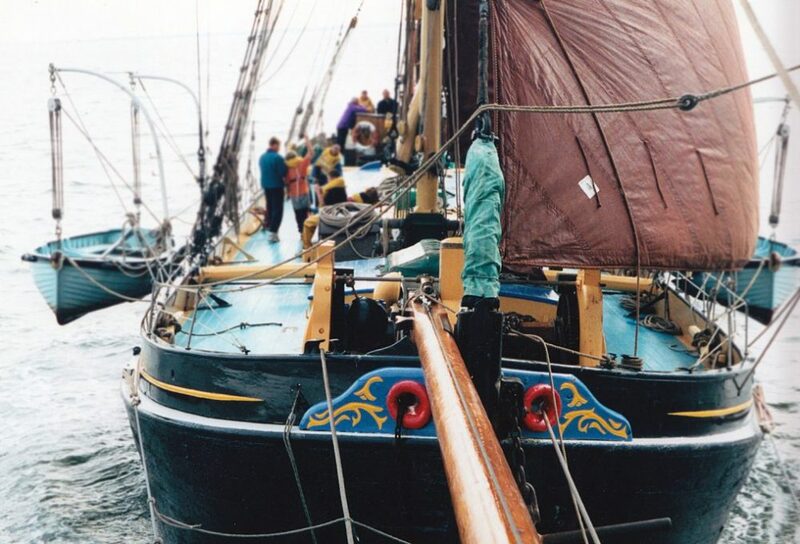 The East Coast Sail Trust has been a Charitable Trust since 1967 (initially as Sail Trust) when Thalatta was retired from her commercial service and was first refurbished by John Kemp to provide cruises for young people. The East Coast Sail Trust took over in 1971, and was formed into a Ltd Company in 2009. The Company is now run by unpaid Directors as Trustees, supported by an accountant. The Directors are: John Keeble and Michael Keeling. The barge is operated by a Skipper, 1st Mate and 3rd Hand. Beyond that, help is received from volunteers – normally Friends of Thalatta – who contribute their time and skills as required, most notably for annual maintenance. The East Coast Sail Tust is unique in the experience offered to young people because the environment is so different; no mobile phones, iTunes or TV. The ‘crew’ learns to pull together to work the ship, cater for hungry mouths and become a closely-knit team.